Slice zucchini into 1/4 inch slices. Toss in a bowl with Italian dressing. 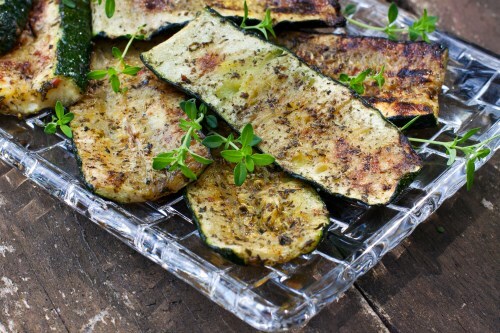 Place on a hot grill and grill about 4 to 5 minutes or until nice grill marks appear and the zucchini is slightly limp. Serve and enjoy.